Regina is a longstanding member of the Stafford Physio team and Accredited Practicing Dietitian. 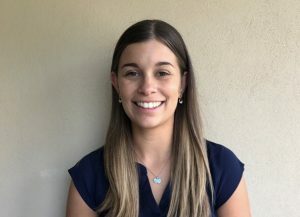 Regina graduated in 2018 after completing a Bachelor of Nutrition and Dietetics with Honours at the Queensland University of Technology. She is passionate about helping her clients achieve their health and lifestyle goals by enhancing their knowledge of food and nutrition, developing mindful eating habits and collaborating on achievable dietary strategies. Services include, but are not limited to, weight management, healthy eating, food allergies and intolerances, chronic disease management (such as diabetes and cardiovascular conditions), and women’s health. When working with Regina, you can expect to make evidence-based, sustainable dietary changes by developing a realistic nutrition plan that fits within your everyday life.